Having a spare room in a house is something that’s viewed by most homeowners as a luxury. In reality, having an extra room in the home that lacks much purpose can end up becoming a hassle. These rooms typically become catch-all storage spaces (also known as “dumping grounds”) for other items that can’t find a home elsewhere in your home. Sure, that means your home’s other rooms might have less clutter. Spare rooms will get filled quickly, however, particularly because they’re such an available and convenient storage space. After a few years, the room can turn into a disorganized mess that will become one big, long decluttering project you’ll need to eventually confront. While we all need to store things in our home, a spare room could be used for a lot more than just storing boxes and junk. This little-used room can be revitalized to give it more purpose and functionality. Why not create a useful space that can benefit the whole family? Maybe you and your spouse are recent empty nesters. If so, that’s even more reason to treat yourself to a dedicated room that enhances your lifestyle and accommodates your interests. Here are nine great spare room ideas to help you get the most out of this underused space. Whether your family is big or small, a dedicated room for enjoying movies, TV shows, and video games in the most comfortable setting possible makes great use of a spare room. A 4K home theatre projector with a projection screen and surround sound system will nicely simulate the experience of going to the movie theatre (without the crowds and high concession stand prices). Or go with a big screen TV set within a custom entertainment centre that can also hold all of your media devices and other audio/video components. Depending on where the entertainment room is located in the home and how loud it might get in there, installing acoustic panels to reduce noise might be wise. Add a big sofa, some recliners, and maybe even a small bar to round out the room’s design. Your spare room can now be used as the ultimate space for hosting movie nights and sporting events for family, friends, and neighbours. If your spare room is near an entryway in your home, creating a mudroom might just be the best use for it. Shoes, umbrellas, jackets, and other outwear can all have a proper home using hooks, shoe racks, and other organizing solutions. If you’re constantly struggling to manage your bedroom closet space, there’s no better solution to your closet woes than a bespoke dressing room (also known as a large walk-in closet). A spare room is perfectly suited for this purpose and makes managing your wardrobe much easier. With a spacious dressing room, you’ll be able to find items of clothing effortlessly. This will result in less time spent searching for misplaced items (and possibly making duplicate purchases). An underused spare room can be turned into a spacious dressing room/large walk-in closet that’s stylish and functional. If you have youngsters in the house, you know how much of a challenge it can be trying to keep their toys and belongings organized. That’s why turning a spare room into a kids playroom is a very practical idea. A kids playroom gives your children a dedicated space to play, which should help keep the rest of your home a little tidier. 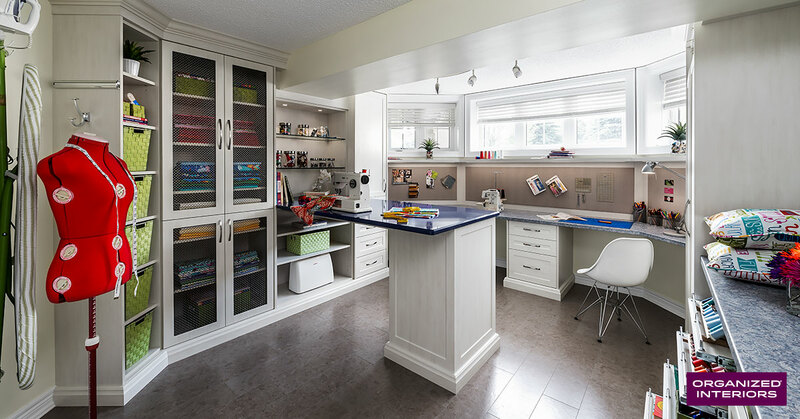 Add a kids worktable for arts and crafts projects and paint the walls with a colour (such as a shade of red) that helps stimulate their creativity. If your children have sleepovers frequently with their friends, a kids playroom could also incorporate a space-saving wall bed. A spare room that you barely spend any time in and is only used to collect clutter is as far from being a productive area in your home as it gets. You can change that by turning a spare room into a highly productive home office. More and more companies are giving their employees the option to work from home on a full-time or part-time basis. A home office that’s professional designed can help you get the most productivity out of the space. A home office also has other valuable uses. It can be used as a quiet room to work on your taxes or catch up on your email replies or your kids can use it as a private study space. If you regularly have overnight guests staying in your home, turning your spare room into a guest room makes a lot of sense. You can have a room that’s always ready to accommodate guests, without having to come up with makeshift sleeping arrangements that aren’t always comfortable for visitors. The centrepiece of your guest room makeover can be a pulldown wall bed that’s every bit as comfortable as a traditional bed. A wall bed’s biggest benefit is that it stays hidden until it’s needed, which frees up space in your guest room. A guest room could also be combined with a small home office space to give you a room with dual functionality. If driving several times a week to the gym to work out is getting old, turn your spare room into a fitness room. The convenience of having a fitness room at home can help keep you motivated to stay fit, which is a great way to relieve stress. You can also tailor a home fitness room to your workout needs, whether it’s yoga, strength training, cardio, or hitting a punching bag that’s your exercise method of choice. Add the exercise equipment you need and a small TV screen or sound system to accompany your workouts. A fitness room at home can pay for itself in a few years with the money you’ll save on annual gym membership fees (which can cost more than you might think). If you’re a wine connoisseur, is your growing wine collection in need of more storage space? Perhaps your wine collection has never had a proper home and is being stored on wine racks in your basement or living room. 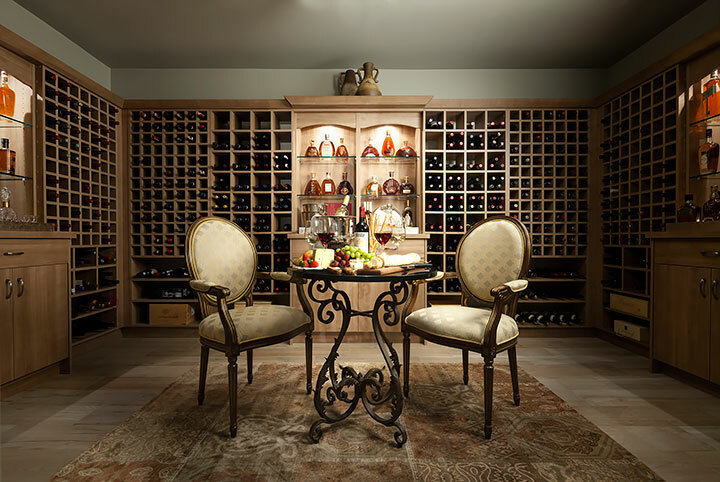 The perfect solution is to turn your spare room into a dedicated wine room or a walk-in closet wine cellar. Have your dream wine storage system customized to your spare room and wine storage needs. If space allows, a dedicated wine storage room can also incorporate design features that allow you to use the room as a space for entertaining guests. You could also complement your custom wine cabinetry with stylish bar cabinetry to house the rest of your libations and spirits. If you’re a wine collector, convert your spare room into a wine cellar that also functions as a wine tasting room. If you’re the creative type, one of the best uses for a spare room would be to turn it into a space that can bring out the best in your creativity. A room meant solely for your creative interests gives you privacy and lets you conveniently resume working on a project whenever you have free time. Studies also show that creative activities improve your mood and help to clear your mind. Organized Interiors has lots of experience when it comes to transforming underused spare rooms into beautiful and functional spaces. Book a free in-home design consultation with us to discuss how your spare room can serve your family in a much more meaningful and productive manner.